As you might have seen in last week’s post, 2017 wasn’t great for me. But it’s a new year, and I’m off to a new start. This year kicked off with the Colonel’s Challenge at work, which will last for 10 weeks and include resistance training, push-ups/sit-ups, aerobic exercise, and weight loss. I’m aiming to hit the goal with all four sections, even though I’ll need to get all 3500 push-ups and sit-ups through sit-ups alone due to my wrist. Other areas include lifting 143,200 lbs worth of weight, 30 hours of activity, and losing 5% of my body weight. Since losing weight is also part of a longer term goal, it works out well. In addition to the Colonel’s Challenge, I’ve set a goal to average at least 700 words written a week. I think that’s obtainable, even if I’m busy. And I also want to complete one good digital painting. Keyword there is complete, since I’m notorious for starting but never finishing most things. Another goal is to build a better relationship with my children. Babyzilla whines a lot, and I think he wants attention. So I’m going to slow down when I’m around the kiddos, try to encourage my son to figure out how to play by himself more often, and really work on my empathy (I’m a terribly unempathetic person so it’s a forced change to my personality, but I think it’ll be better for my kids). So where does the insecurity come in? I still have the fear that I won’t finish anything this year. It’s going on five years since Thanmir War came out, and I’m not even finished drafting the sequel, Isto. It’s been three years since This World Bites, and I haven’t even peeked at Murder Most Fowl lately. What if I fail yet again? But it’s like I tell my son, whining about it isn’t going to get me what I want. So, I’ll keep chipping away at it, and maybe, just maybe, I’ll finish something this year. IWSG Optional Question – What steps have you taken or plan to take to put a schedule in place for your writing and publishing? This started last year, but I partnered up with a local friend to hold each other accountable with our writing. It might not be a set schedule, but it’s a weekly accomplishment that’s usually achievable. or just another day? What’s your favorite weight lifting exercise? Best of luck to you in 2018, Loni! The thing about being more empathetic with your kids struck a chord with me. It’s something I need to look out for myself. It’s always hard, when there’s a million things going on and the kids are whining, to be as patient and present as we should be. Something for me to watch out for this year as well. And 700 words seems like a good target! Obtainable and will lead to progress! Much like the fitness goals. Good luck with 2018! You’ll be really healthy after that challenge! It’s been a long time since I had a book come out, so it’s something we both need to work on. We’ll see how empathetic you feel after a few weeks of that training. The kids will learn to stay away when mommy’s hurting. Partnering up with others helps keep us accountable. I’ve done a lot more writing since I made the commitment to give something to my crit group every month. I think you’ve made good, reasonable, attainable goals. I wish you the best of luck on all of them! Babyzilla, LOL. Because you’re a writer, I bet you’re more empathic than you think. The strength training sounds kickass. Happy New Year, Loni! Even chipping away at something we can still achieve it. Keep it up! Have faith. You can do it! You have children to raise and that takes lots of time. Of course, you’d rather be writing on some days but right now you’re doing the most important job in the world in my opinion. You’re forming children’s lives by the way you live and react to them. And that makes me proud. Your writing time will come again, and when it does, you’ll shine. I just know you will because you’ve got your priorities straight. Wishing you all the best for 2018. Do what you can and keep walking. I’m loving that challenge! You must show us a video of those push-ups. Go, Loni. There is a time for everything. It’s tough to do anything with young kids. Hugs for hanging in there. May 2018 be a better year for you. Raising children while trying to maintain any type of a schedule is never easy. Now that I have grown grandchildren, I understand it’s not meant to be. But regardless your children will learn by your work ethnic. They’ll understand one day what a devoted mother you were as you strived to create words to leave as a legacy for them. They will be so proud, Loni. Words cannot describe how proud. Best of luck to you in 2018. I am excited for you. 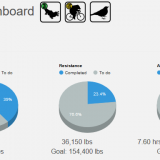 Weekly accomplishments that sound reasonable – I like this goal much more than a set schedule. I might even be able to follow in your footsteps with this one. I do dislike schedules, writing or otherwise. Chipping away at the writing is something that I need to do, too. Good luck with all of your goals! Sounds like you have great goals and keeping your writing goals realistic sounds good. I really like a 500 word per week goal. Thanks for the suggestion. You had such a challenging 2017 and I’m wishing you all the best for the year ahead. It sounds like you’re already off to a great start (way to go with that challenge!) and you have some fantastic things planned to strive for. I don’t think I’d describe you as unempathetic (but I don’t really know you) but I hope it goes well! And good luck with the weight loss/exercise thing. Good for you. Seriously. I take the dog for a walk around the neighborhood (sometimes) and give myself a pat on the back. I had 5 kids under the age of 7 and the reason I didn’t start getting serious about writing until they were teenagers. Kids, family, and life in general take a huge chunk of time. Wishing you luck with your weight training and getting some serious writing accomplished. One Day at a Time! Happy New Year! An accountability buddy. That’s great. I’m sure that helps a lot. Hi Loni, your fitness goals are giving me a serious inferiority complex. My goals are to write a lot, read a lot and laugh a lot. Having an accountability partner helps. In my failed attempt at NaNo, my AP and I did daily check ins to help each other along. I’m bad with sticking to goals I set myself, but having to ‘report in’ gave me some focus. I have an exercise DVD that combines cardio with weights called Billy Blanks Cardio Sculpt. I’m not sure how that would work with an injured wrist. Sounds like you need something for your legs. Good luck on that challenge! It sounds intense. Good luck with the Colonel’s Challenge! That sounds intense. 700 words per week is definitely doable. Happy New Year! Your goals look do-able. You got this, Loni!! It’s not too late to teach him to play some by himself. I entertained myself for hours as a kid. Good luck with the Colonel’s Challenge. I understand the un-empathetic person issue. I have the same, and get busy and tend to ignore everyone or flat out tell them to go away. I’m trying to get better, too, but it’s not easy! We have some small weights in our ‘office’ room but they’ve become decorative. I get my exercise from ‘jumping to conclusions’ – and when I lift myself out of my wheelchair like press-ups. Good luck with your 2018 challenges – let’s aim for two Boise authors getting published this year, Loni. Accomplishing anything at all beyond daily necessities with little ones about is a major accomplishment. I didn’t even start writing in earnest until my kiddos were a bit older, so you’re way ahead of me. Best of luck with all your goals. Your abs will be amazing!!! Physical and mental challenges sound like a good way to hit the ground running in 2018; hope everything goes well. ^_^ As for whether or not you’ll finish anything, or even get much writing done, I hear you there. 2017 was probably my least productive year ever. But all we can do is keep trying, because it’s worth it when it works. Wow, Loni, those are some pretty spectacular goals. Let us know how your progress is going. I’ll have to look into this Colonel’s Challenge. It sounds pretty intense. Good luck! I’ll be cheering you on. Your fitness challenge sounds pretty admirable. I hope it goes really well. And keep chipping away at that writing. Even if you don’t get a book out this year, every word is progress made! Good luck with the Colonel’s Challenge… sounds quite gruelling! But I know you’ll ace it! I love that. Definitely slow down around the kids. They grow up so fast and then it’s over. My oldest is leaving home in a couple months, and I’m not ready. He grew when I wasn’t looking! Sometimes it really helps to do some of your goals with a partner. You hold each other accountable and accomplish them. Good luck achieving yours!